Though Kid Koala has performed thrice in Ottawa since the release of his latest LP, Your Moms Favourite DJ, his Thursday midnight performance was met with much anticipation and fanfare amongst the U of O, Carleton and Algonquin set. In the past, where Koala has presented a number of themed DJ sets, including cabaret style performances, puppet shows or rock band type turntable jaunts, a stripped down traditional set perfectly corresponded with the minimal feel of Ottawas Heaven Night Club. Towering 20-plus feet over the dance floor and packed with friends of the resident DJs, Kid Koala held court from inside Heavens spacious and beautiful DJ booth. 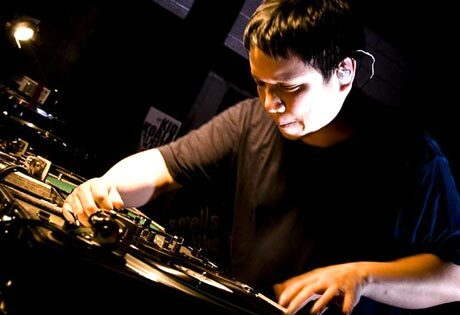 Ditching material from his three solo albums, Kid Koala opted to deliver a set flawlessly fusing modern and classic dance floor anthems from the Flaming Lips, Mantronix, Bloc Party, Sugar Hill Gang, Rashaan Roland Kirk and Radiohead. Coupled with a projected video of his turntables on the wall atop the dance floor that illustrated his unique method of physically altering his vinyl, Kid Koala encouraged the mostly stagnant crowd to move with a set list designed to please. The night ended before three a.m. as Koala provided the audience with everything that they came to see; an intense soundtrack to the minority that flocked to the floor to move their feet and enough ear and eye candy for those who decided to stand and watch. The night found the nominally cheerful DJ in particularly excellent spirits as Kid Koala announced to the crowd the last-minute invite to open the current DJ Shadow and Cut Chemist world tour. What would inexplicably mark the end of his DJ tour across Canada was also the start of the next chapter in the life of an artist who belts out chapters faster than break beats.